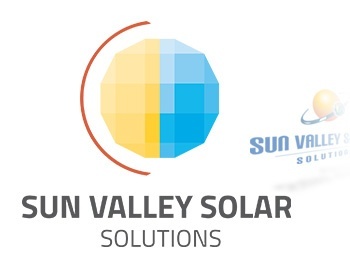 After ten years of continuous growth, Sun Valley Solar Solutions is pleased to unveil a new brand identity and logo. The updated branding anchors the Chandler-based company’s expanding portfolio of integrated energy solutions that are optimized specifically for modern rate plans, improved grid interactivity, and further grid independence. At the center of Sun Valley Solar Solutions’ brand refresh is a new logo mark composed of simple geometric shapes resembling solar cells, which are assembled into a three-dimensional sphere. The fully-modern design draws inspiration from a Dyson Sphere, which is a hypothetical megastructure that completely surrounds a star, and captures 100% of that star’s energy. Iconic elements from the company’s original logo are also incorporated for continuity, including the Earth and Sun. Keeping it local, Sun Valley Solar Solutions was proud to partner with Scottsdale-based The James Agency for the brand refresh project. The new logo represents Sun Valley Solar Solutions’ first update since the company was founded in 2006, and is the result of extensive research conducted by engaging customers, employees and other stakeholders as part of a comprehensive brand review. The first iteration of the new brand was revealed earlier this week with a new company website at SunValleySolar.com. The company’s fleet, personnel, and Chandler headquarters will be rebranded over the coming weeks with the full rollout expected by summer.